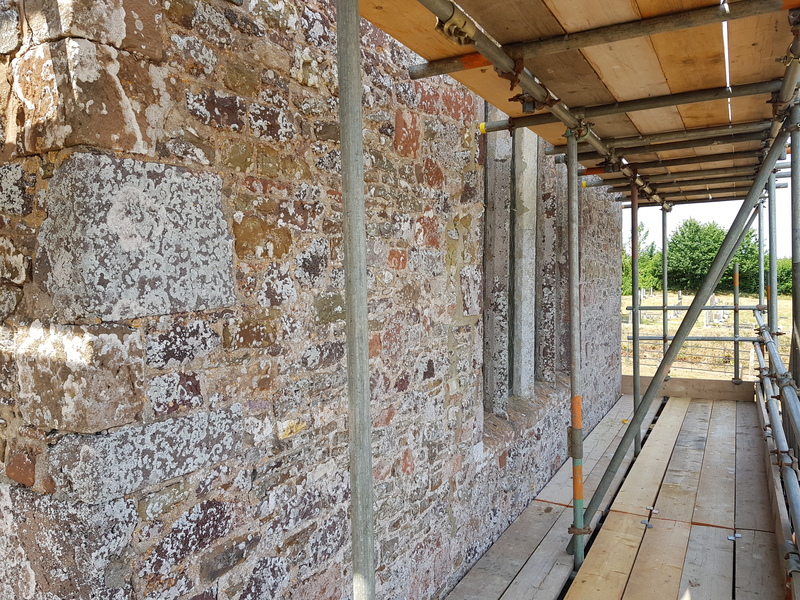 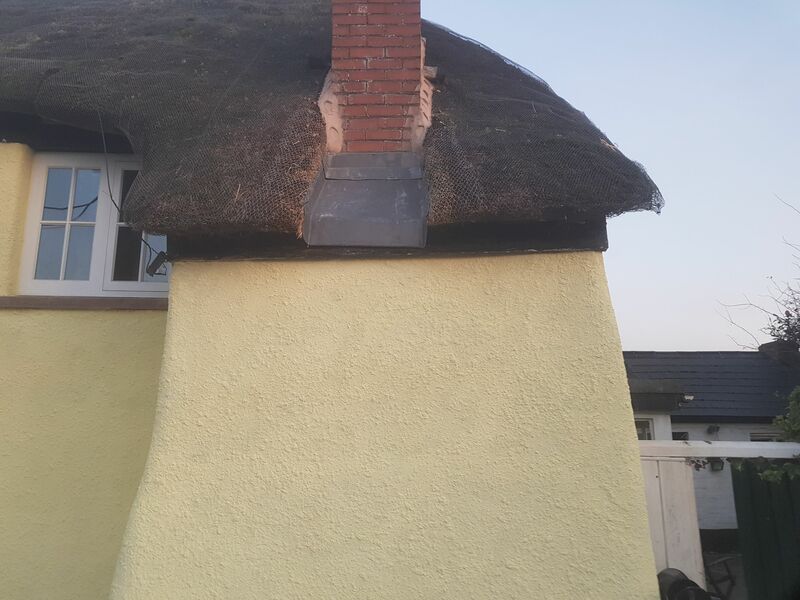 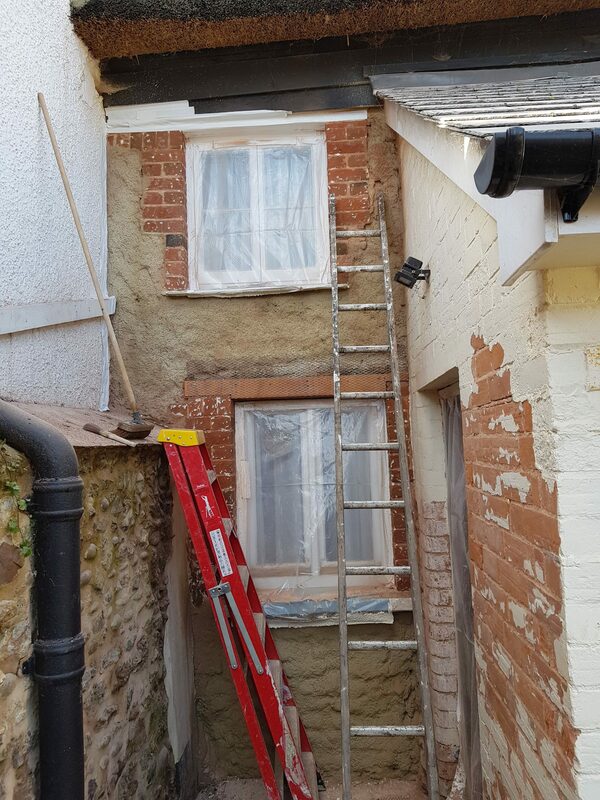 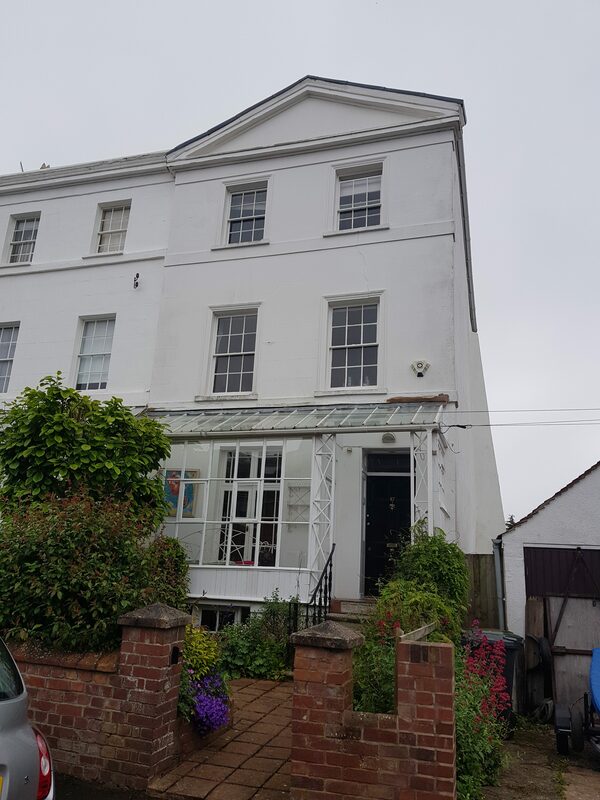 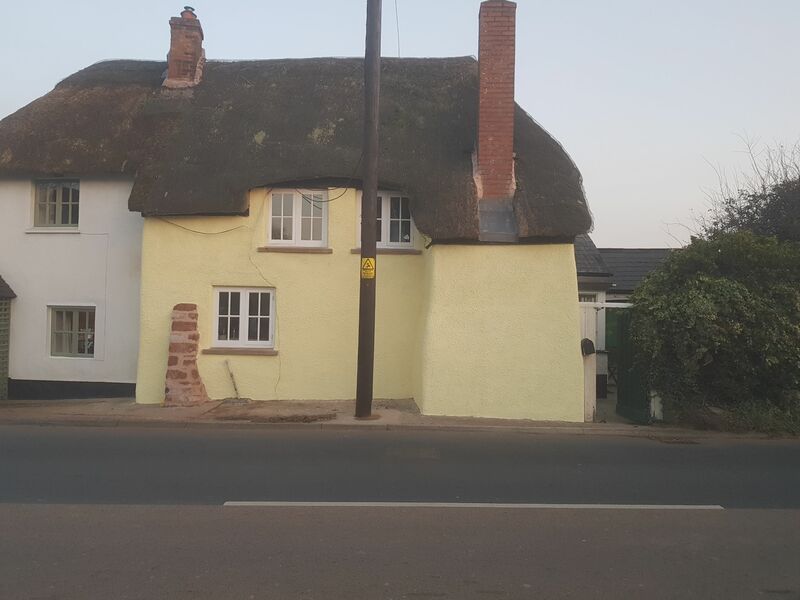 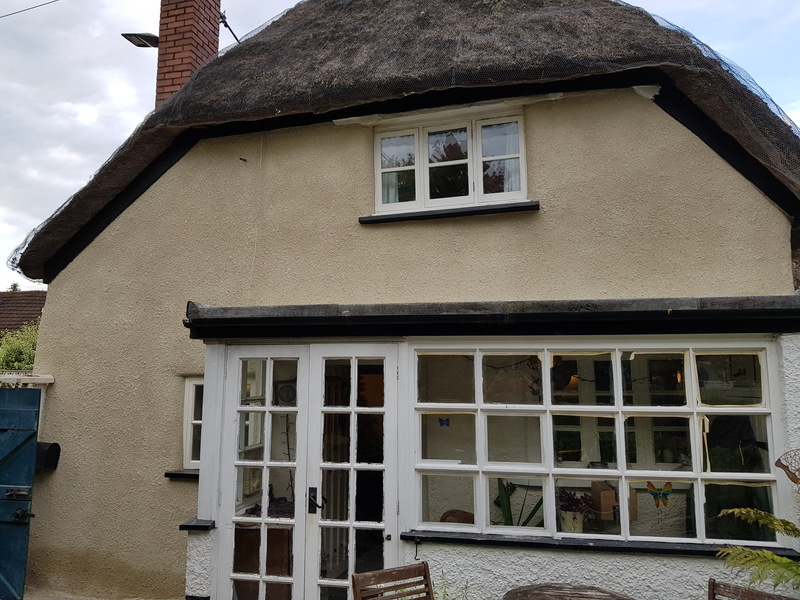 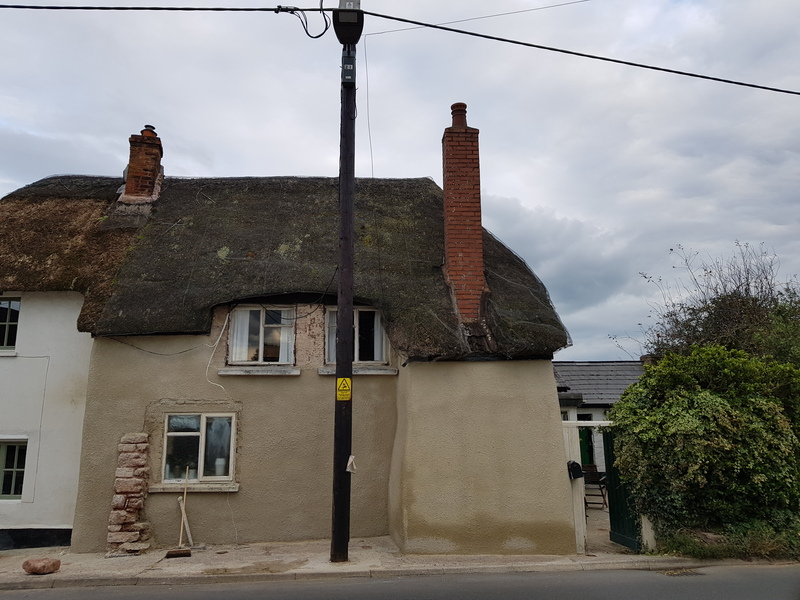 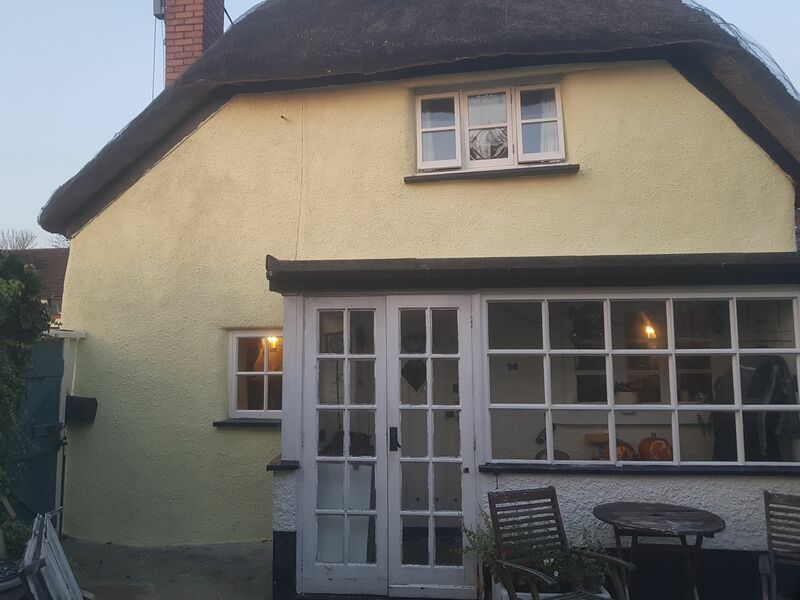 Our customer asked us to undertake the external lime rendering on the rear of her cob and brick cottage in East Budleigh, Devon. At Earthouse Building Conservation we work on both large and small building restoration and conservation projects. 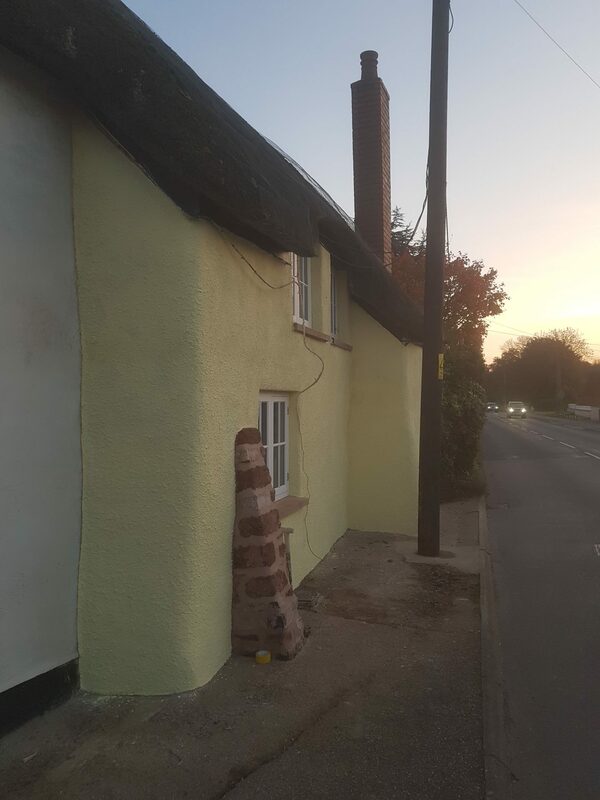 We were pleased to accept this job as we had previously done the front exterior lime rendering and some internal works inside the cottage. 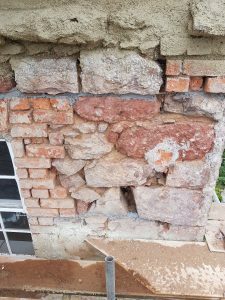 The substrate on the cottage is a mixture of old cob and newer red brickwork. 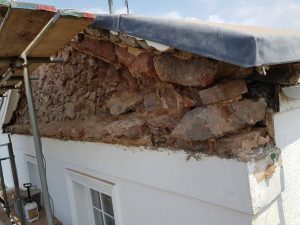 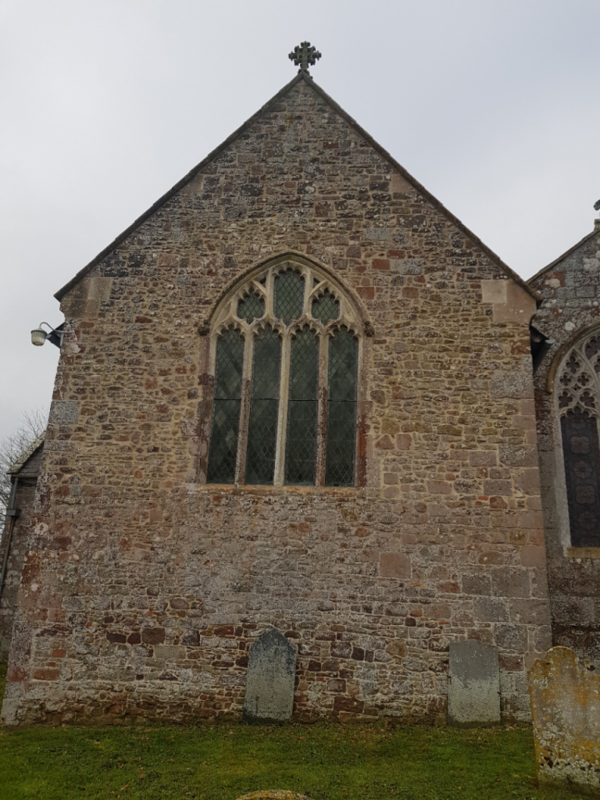 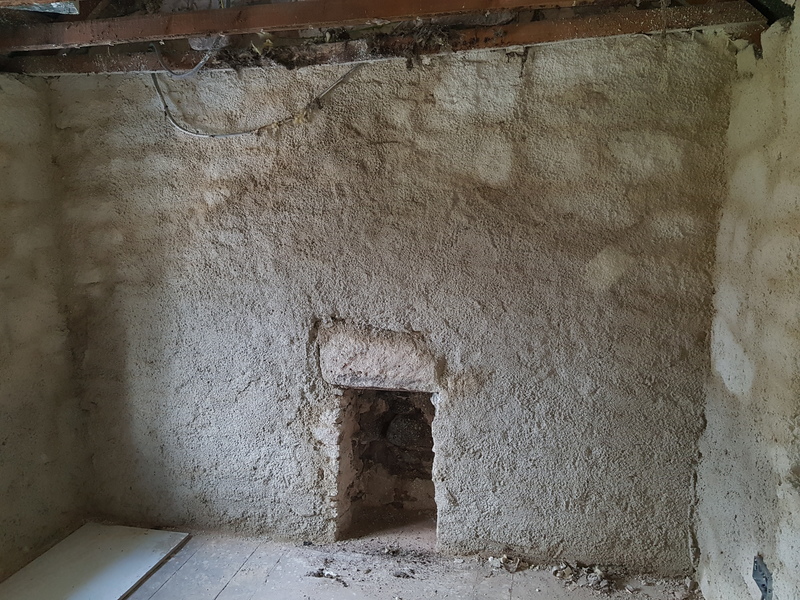 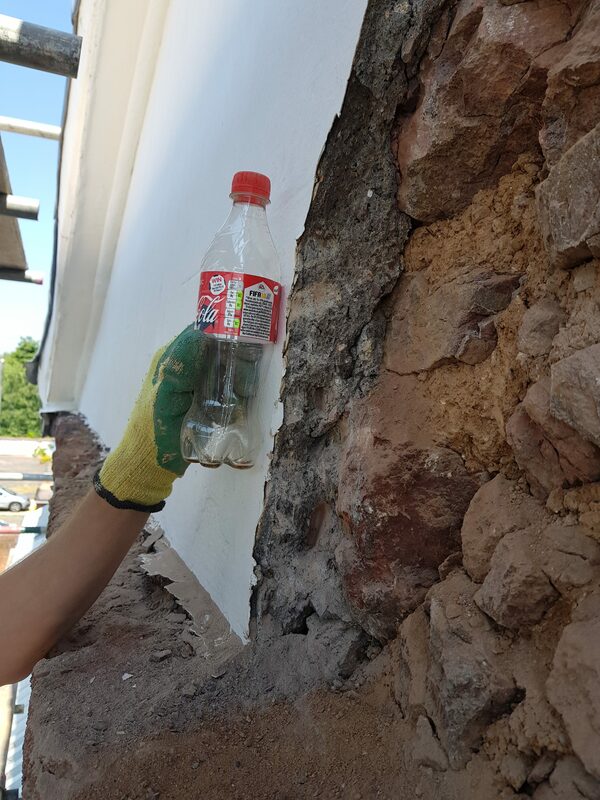 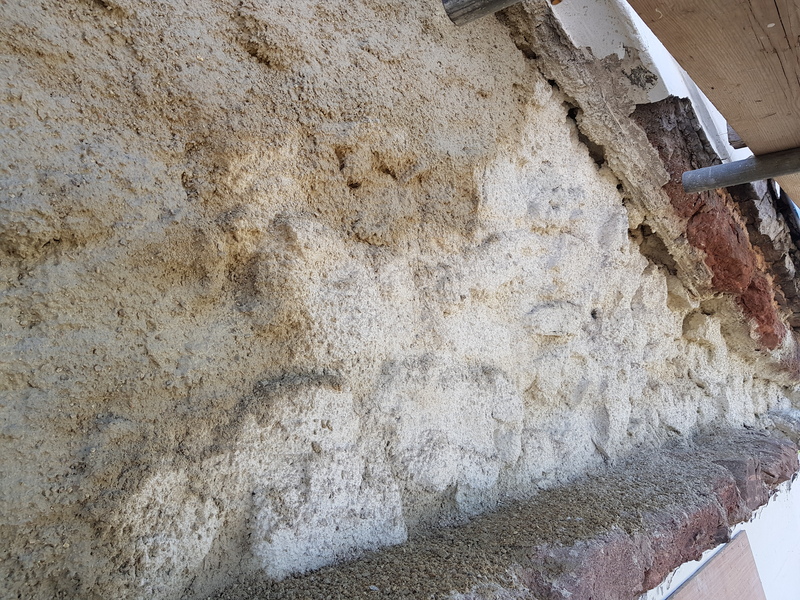 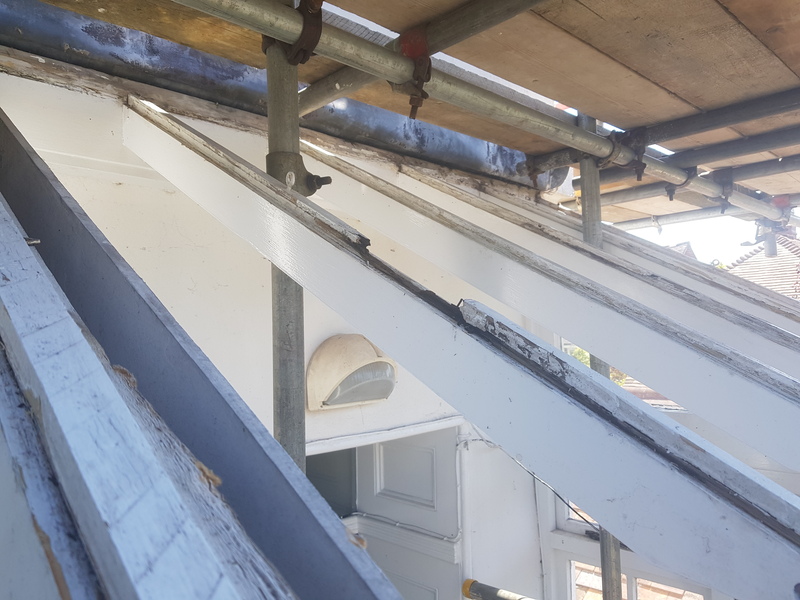 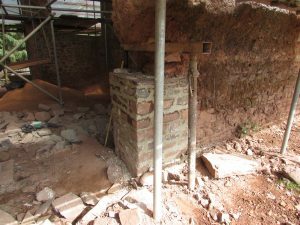 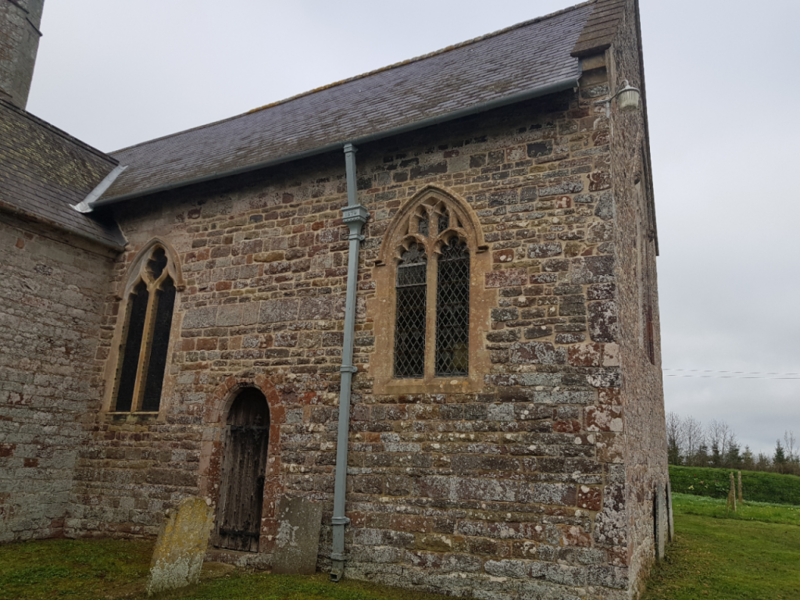 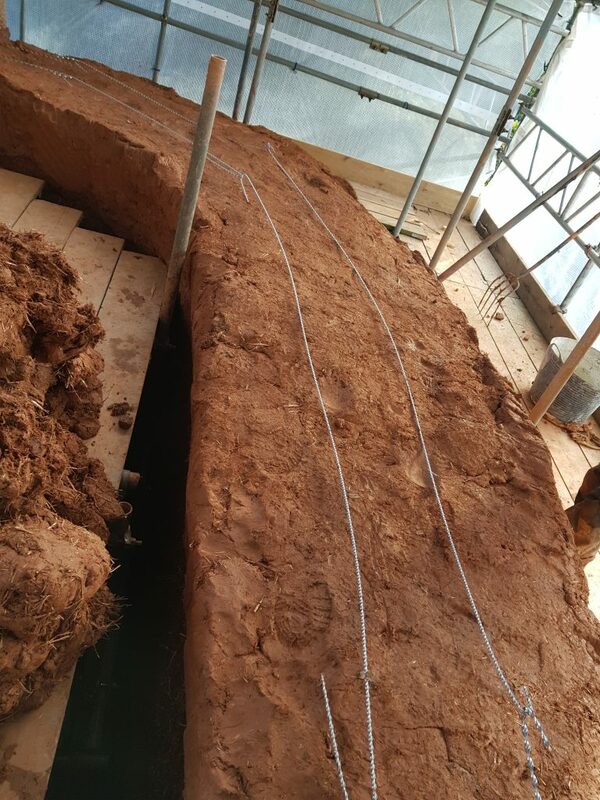 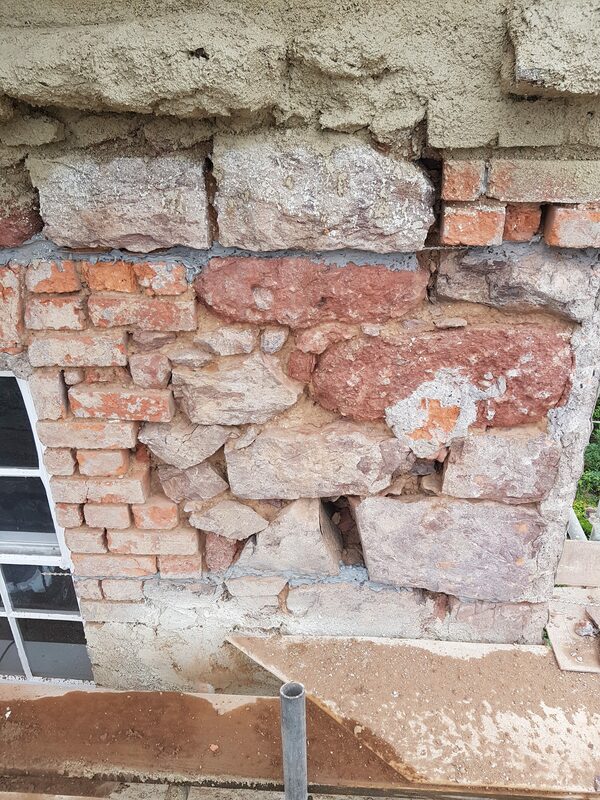 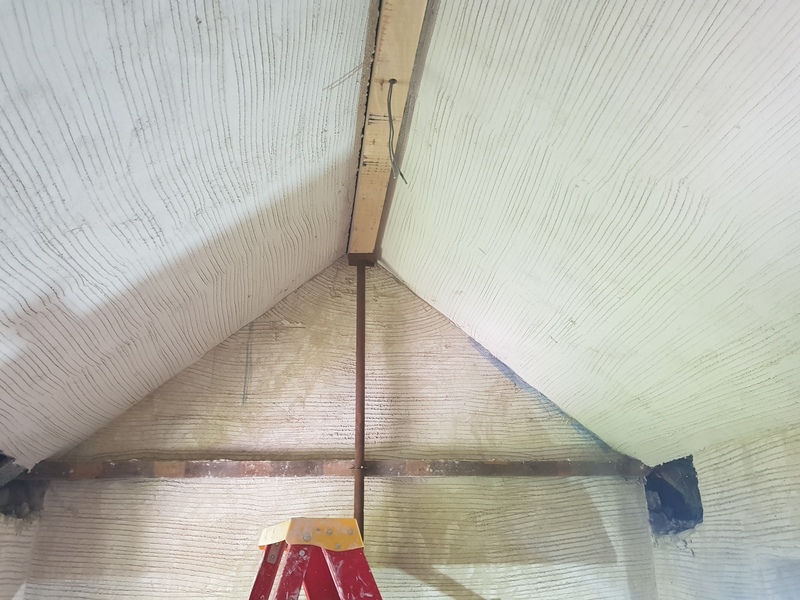 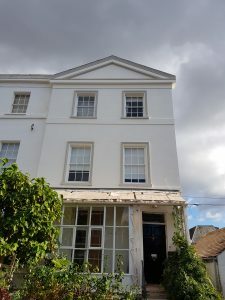 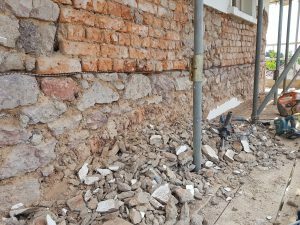 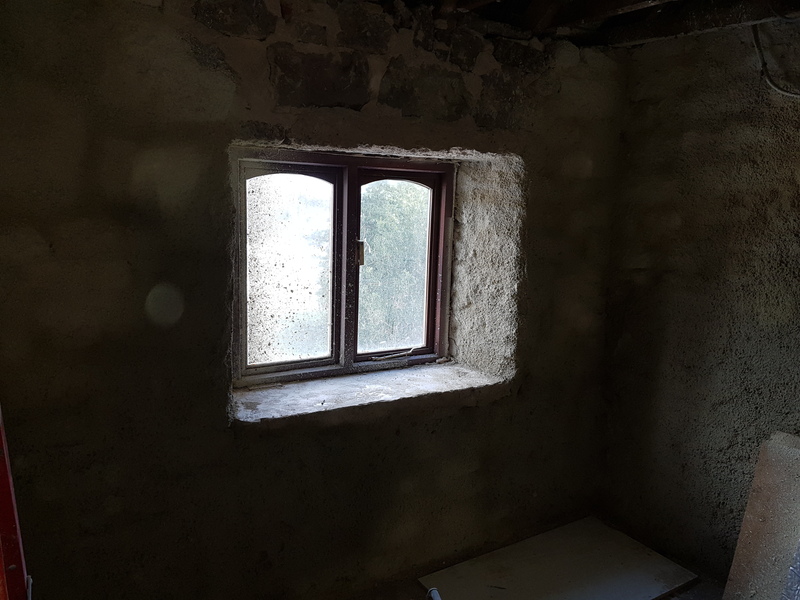 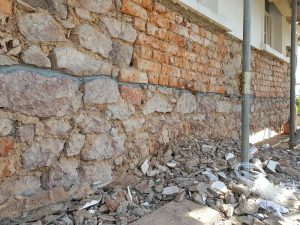 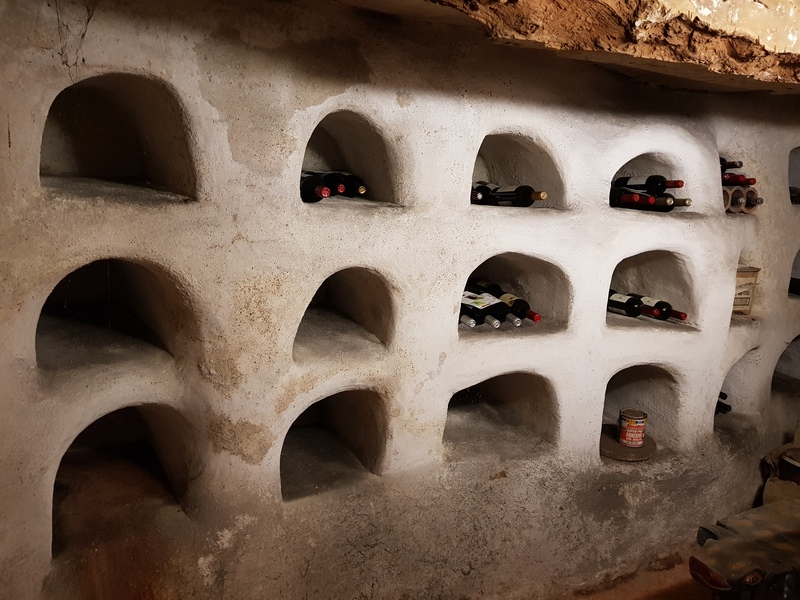 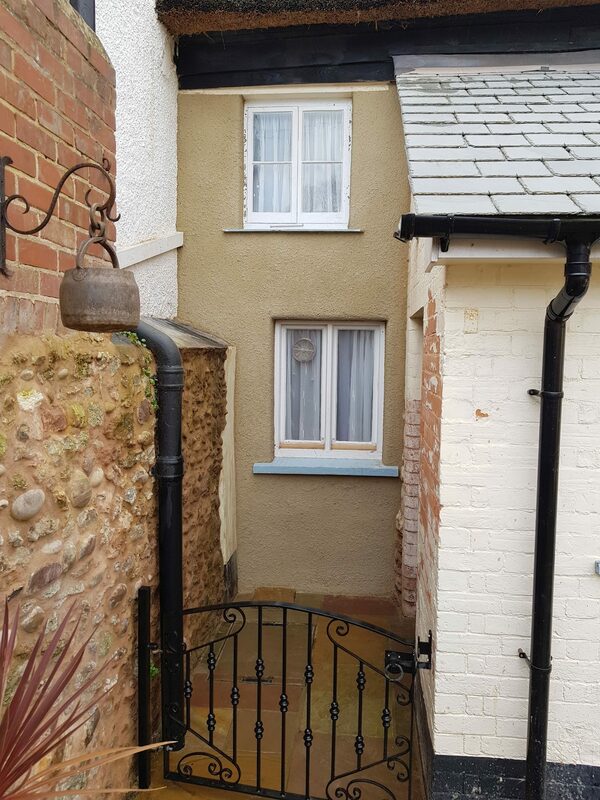 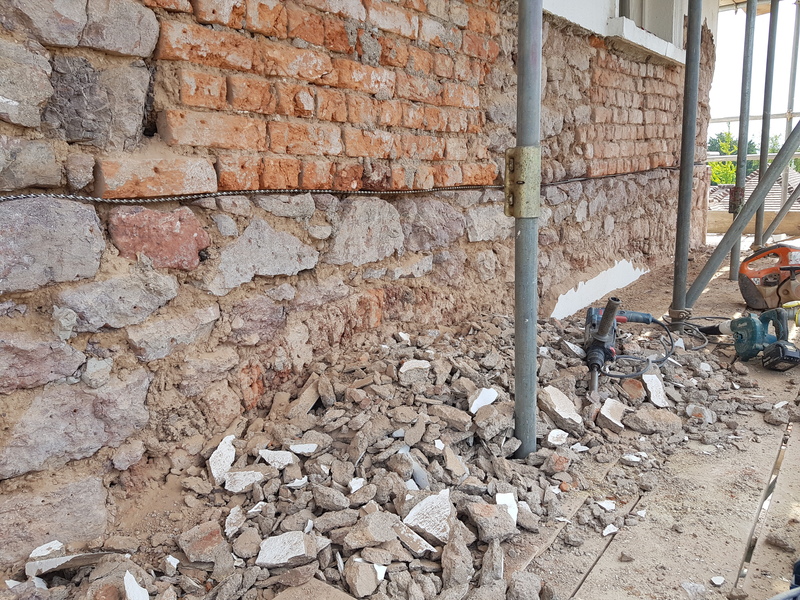 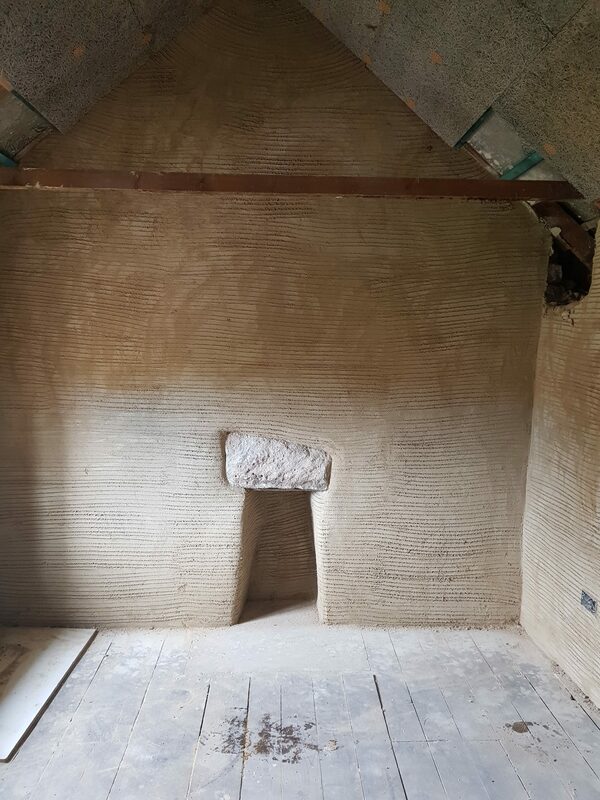 We removed the sand and cement render; fortunately the cob below was in a good condition so we did not need to do any repairs on this occasion. 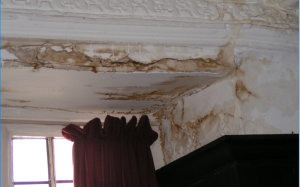 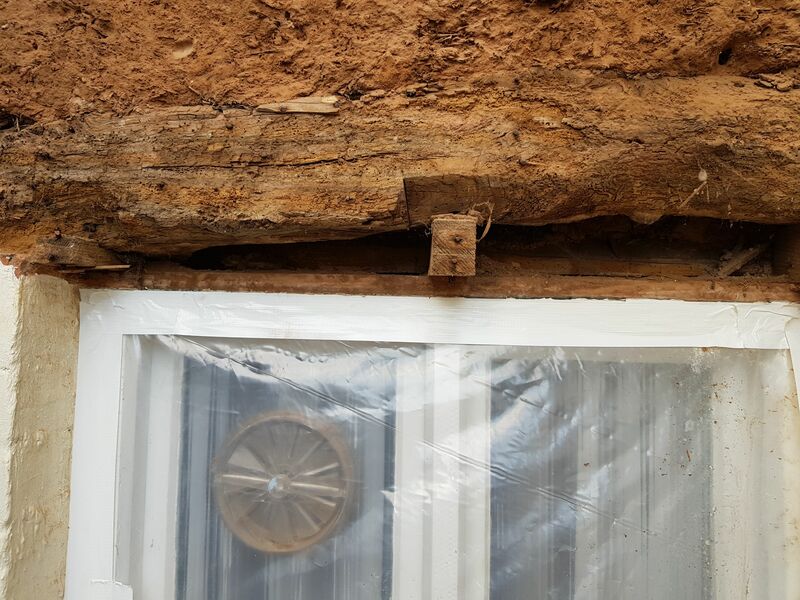 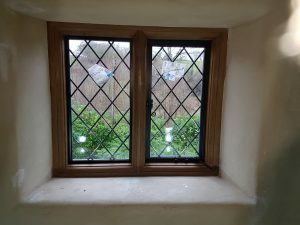 The timber lintel above the downstairs window was rotten and full of woodworm, which meant that the wood was flaky and crumbling. 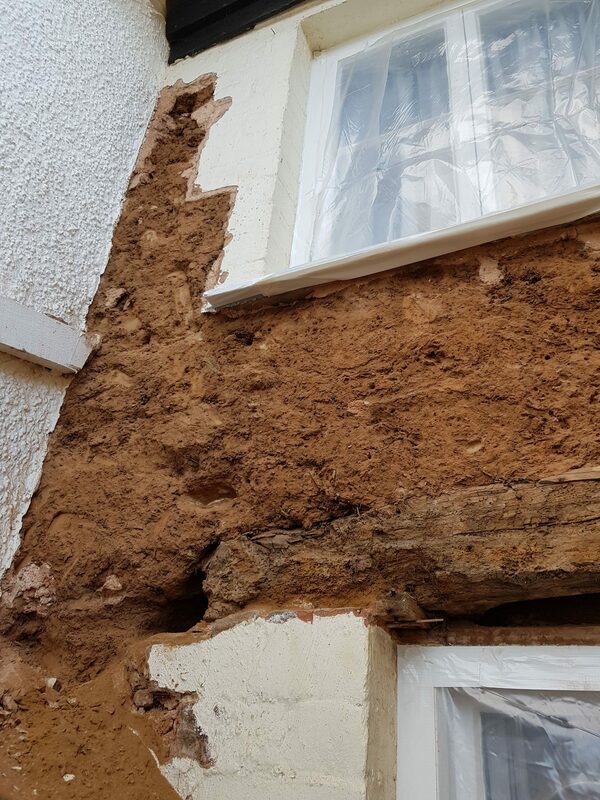 We replaced the rotten wood with a new oak lintel. 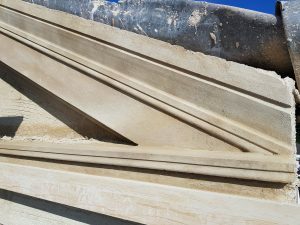 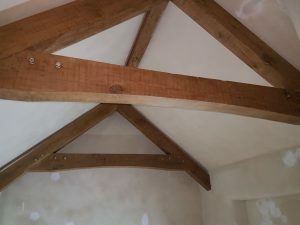 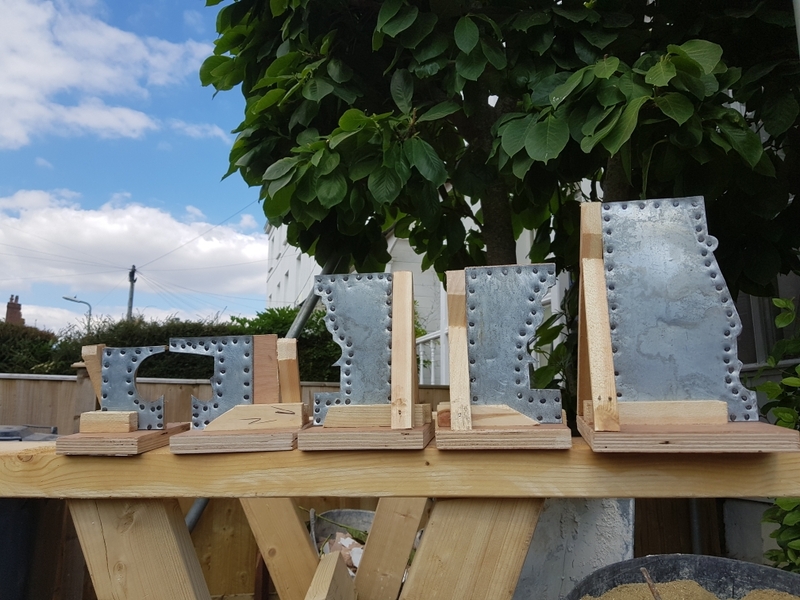 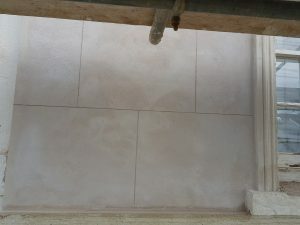 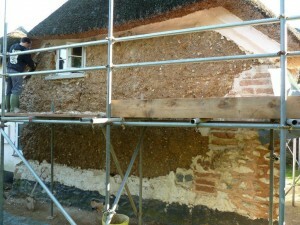 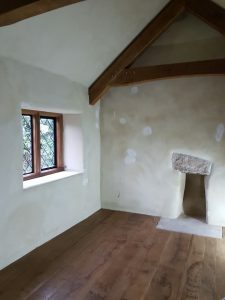 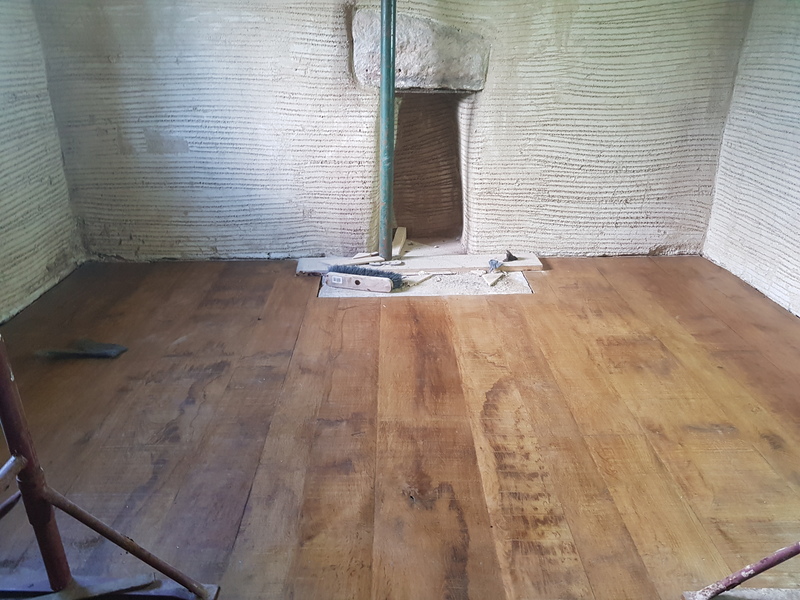 The photo’s below show the flattening coat of lime render and the final application. The window frames will be cleaned to finish the job. 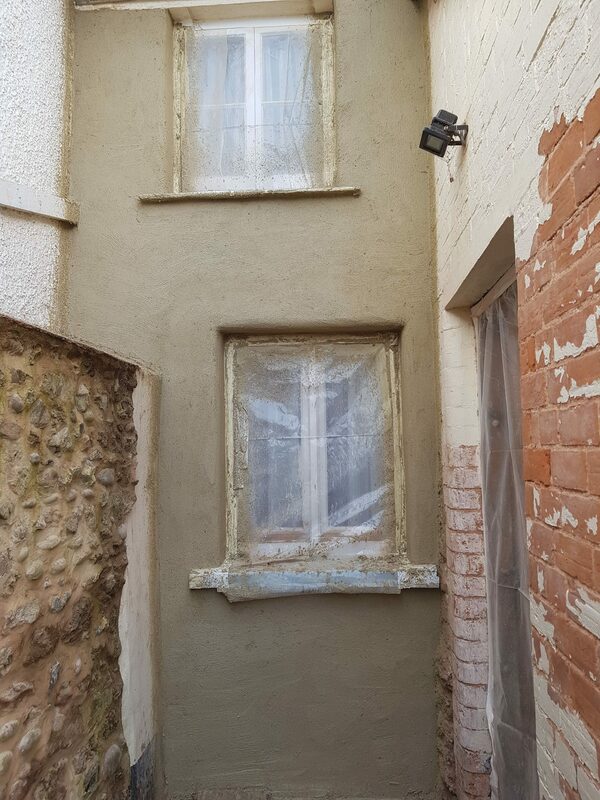 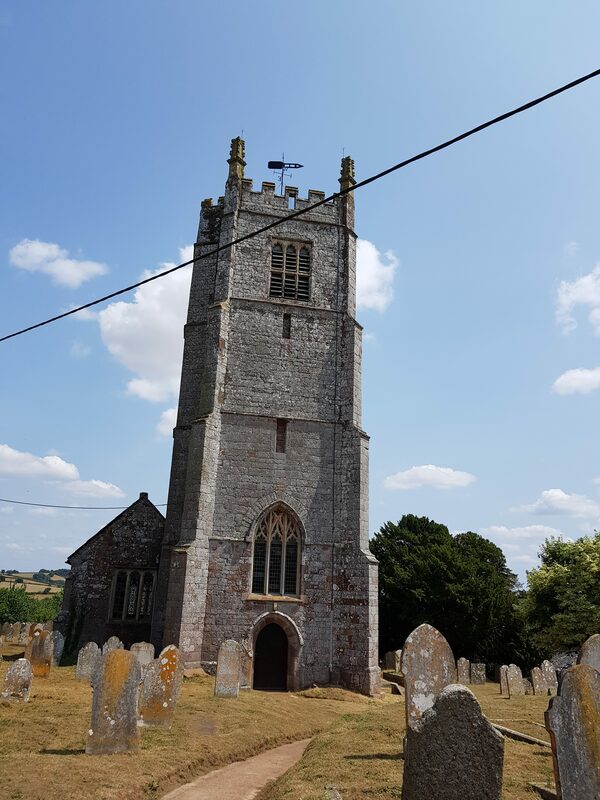 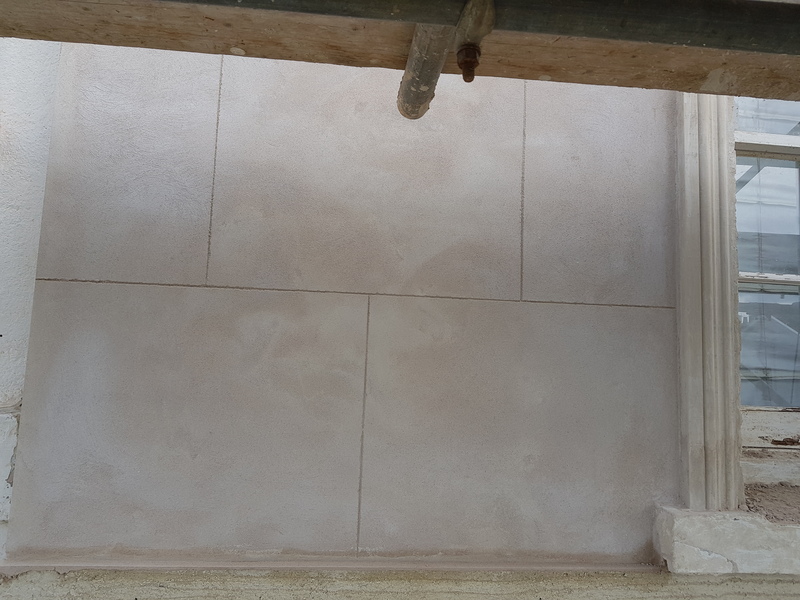 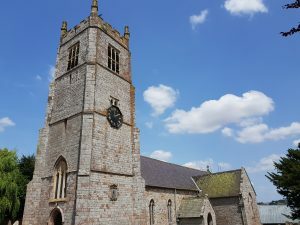 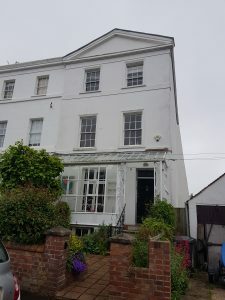 The render used was a hydraulic NHL 2 mix, which takes approximately 2 weeks to dry out and it will then be decorated with a silica paint system. 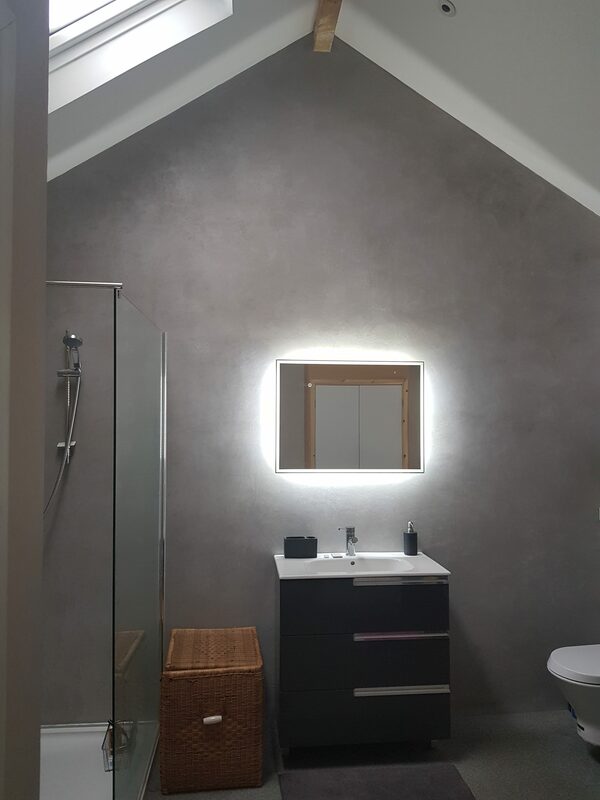 To see more examples of our work please visit our Projects blog.